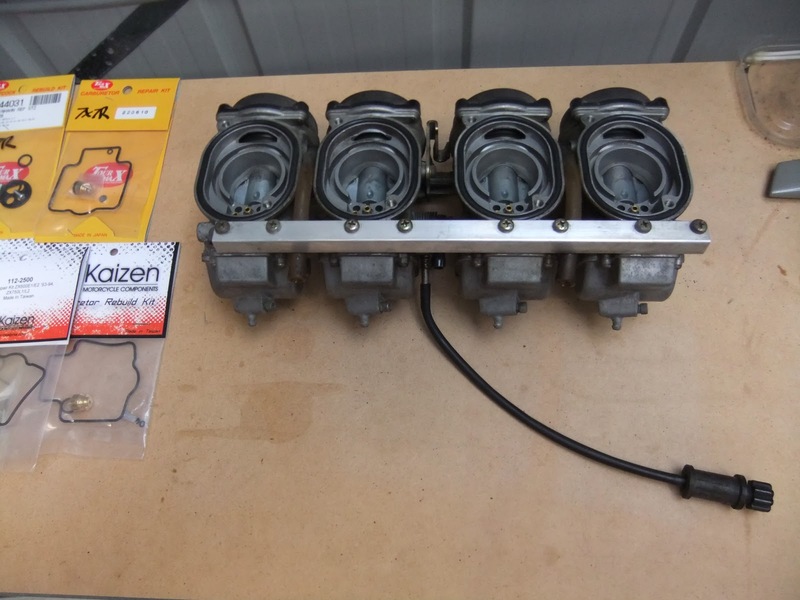 We needed to rebuild a set of Keihin carburettors earlier this year for the original Kawasaki 'racer with lights', the ZXR750. Story for another day, but if these don't get your heart pumping, see your doctor. 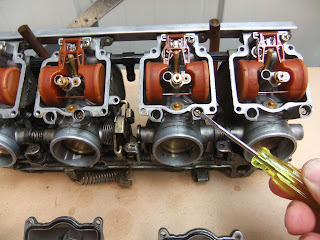 Anyway, the carbon crew love carbs most of the time, and when they are in good fettle life is good. This ride had spent some time standing, had evidence of some modifications, and wasn't behaving well at idle, partial throttle or wide open. 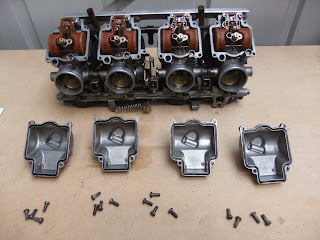 Here are the carburetors removed from the bike and on the bench ready for dis-assembly. Note the rebuild kits to the left. It pays to have those ordered & ready to go before commencing. Note also the remote idle speed adjuster. 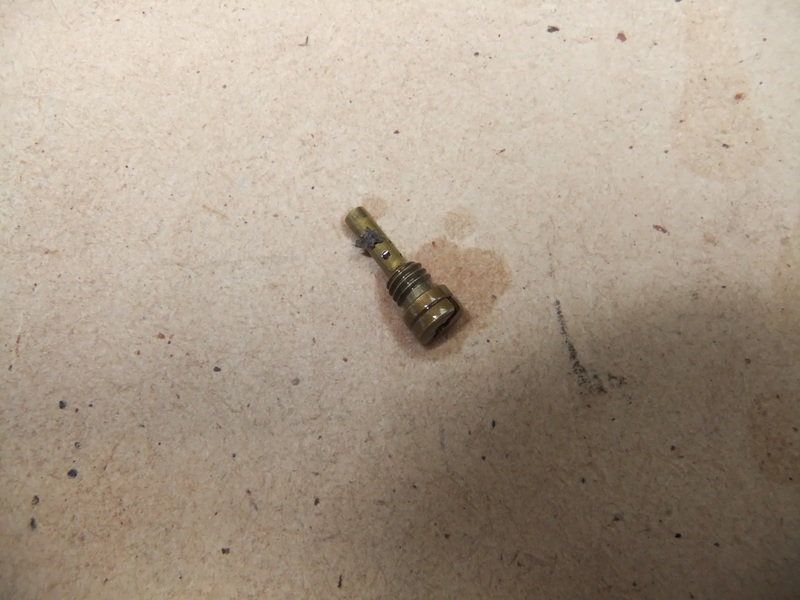 Unscrew and put aside until re-installation in the bike. Here we have the fuel bowls removed and their four retaining screws nearby. Note these are unusually clean, you can expect to see some fuel contaminant residue in the fuel bowls. In this case they had been cleaned a few weeks before. About to remove the mixture screw. 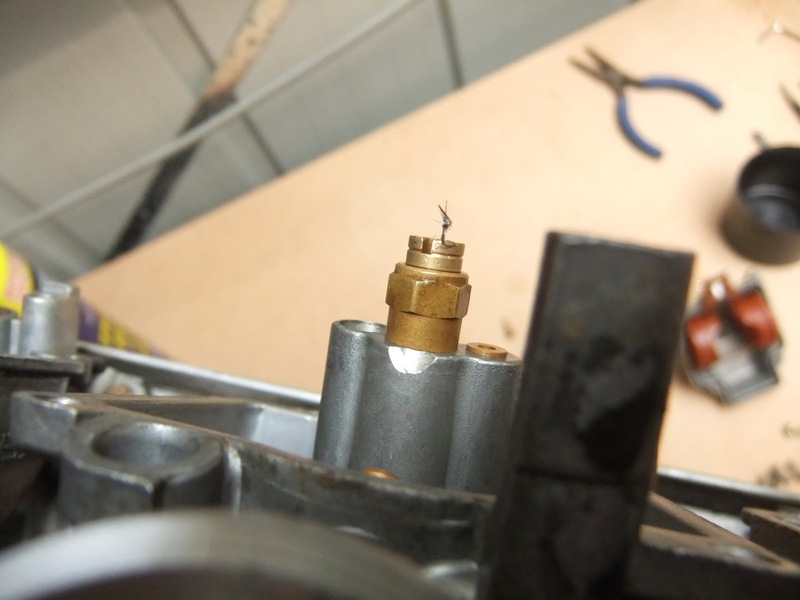 Here is pilot jet #2 showing why carburettor rebuilds are required from time to time. A small amount of foreign matter in the greater scheme of things, but definitely enough to block this jet. And here is a main jet with a foreign body. 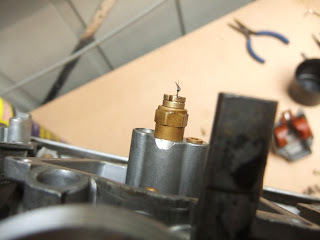 This enterprising mosquito was attempting to block the major fuel-air metering point in this carburettor with it's body. 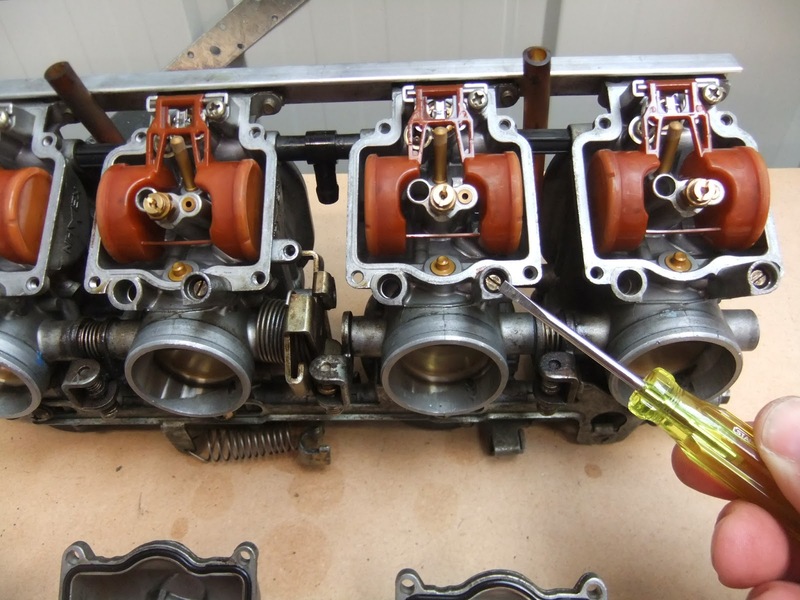 Jokes aside, this insect was inside the carburettor and adhered to the main jet. At some time in the future this would have caused a mixture problem at mid to high revs.